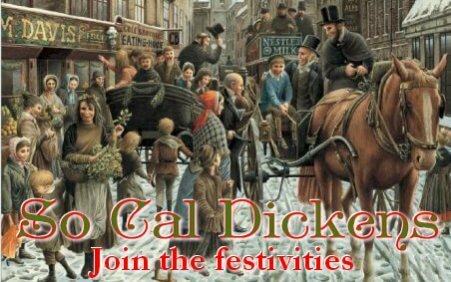 So Cal Dickens brings you a taste of the holidays in Victorian England. Over a dozen shops with unique items. 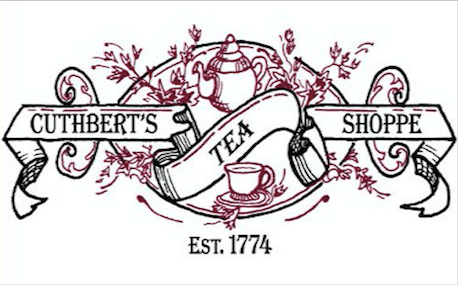 Come enjoy traditional English foods. Experience High Tea. Visit Fezziwig’s Warehouse to enjoy music, games, or show off your Ballroom Dancing skills. EXPANDED! 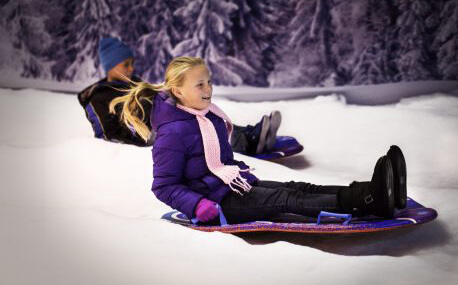 Alpine Village, will include a snow play and slide area that is double the size of last year! 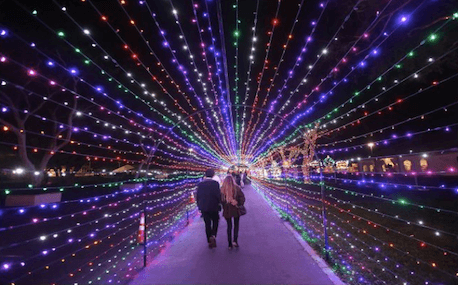 Alpine Village also features fresh snow blown in daily, inflatables, craft tent, food trucks, a toddler play area, and the festival of lights with a 100 foot animated light tunnel! EXPANDED! SoCal’s largest snow play and slides with fresh snow blown in daily! Including a new area for toddlers to play in the snow. Stroll through a brilliantly illuminated pathway and explore holiday themed lands that you and your family can walk through. It will be a great, memorable time for the entire family! EXPANDED! 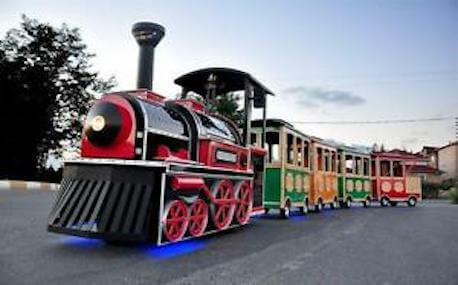 Ride through the Festival of Lights on one of our two trackless trains. 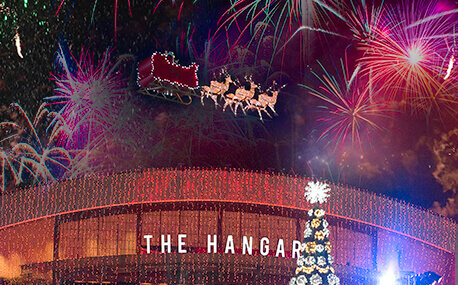 For 5 Days only (Dec. 20-24) don’t miss Santa’s flight over the fairgrounds through Christmas Eve with his reindeer! 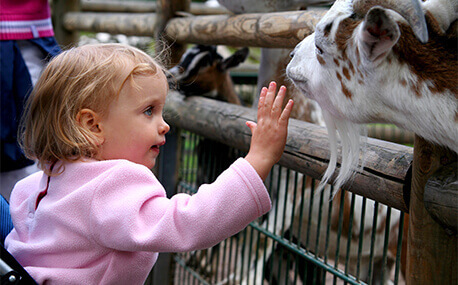 Daily entertainment for kids and adults alike featuring meet and greets. See our Stage Show Schedule for dates and times! 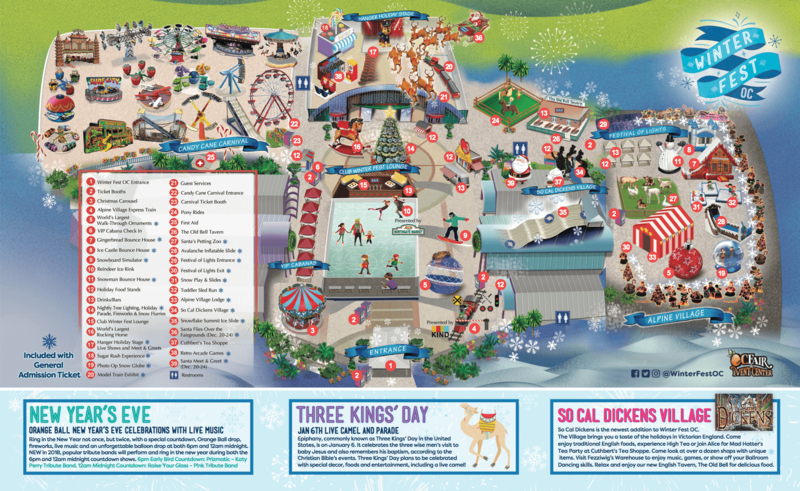 Race down SoCal’s largest Ice Tubing Slide, Snowflake Summit at 8 lanes and 150′ long! 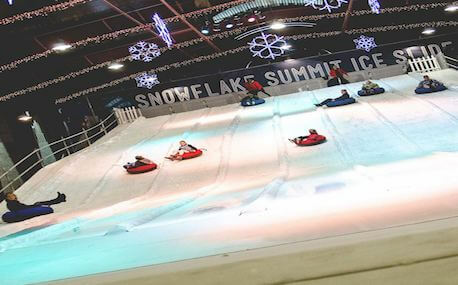 *ICE TUBING HEIGHT REQUIREMENT IS 42″ WITH NO LAP SITTING AND CLOSED TOE SHOES MUST BE WORN. Daily meet and greet with strolling characters and entertainment. Ice Pricess, Mayor Frost, Toy Soldiers & so much more. Ice Skating under the stars on SoCal’s largest ice rink next to our 30 foot tall Christmas tree in the middle of Winter Fest OC . Fireworks light up the sky every night at 5:30 pm during the Christmas tree lighting celebration featuring a parade with Winter Fest OC characters and snow flurries! Each night, we celebrate with a brilliant tree lighting and flurries of fresh snow to add some extra magic to your evening! Can you feel the energy? 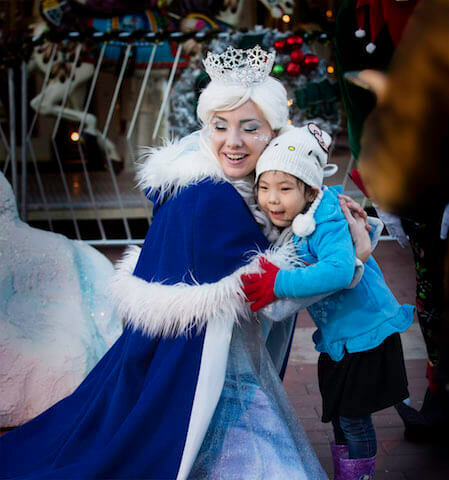 Join in the fun and dance along with our holiday parade every night at 5:30pm! 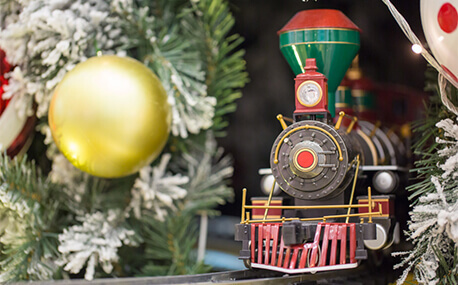 Santa’s elves have been busy building over a dozen Carnival Rides and Games on their off holiday time including a Holiday Ferris Wheel, Tilt-a-Whirl, Zipper, Carousel and many more rides and games for guests to enjoy during Winter Fest. 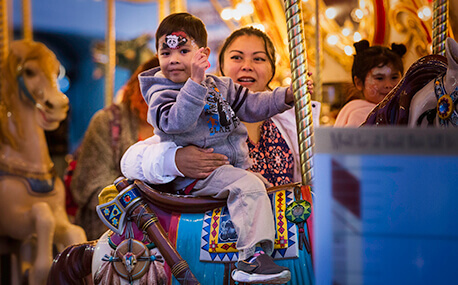 Enjoy a once in a lifetime ride with your family or friends on the World’s largest rocking horse. 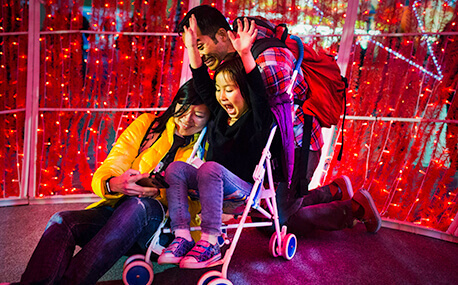 Experience walking through and taking a selfie in the World’s largest ornament at 30 feet tall! Santa’s Petting Zoo with his favorites from Buttercup the miniature horse to Snuggles the lamb. New Year’s Eve, Winter Fest OC plans to light up the sky with fireworks and a not-to-miss 3,000 balloon drop at 6:00pm and 12:00am. No additional fee for New Years Eve Celebration, it is included in your Dec. 31 admission ticket or season pass. Jump into the holiday season in one of our many Winter Bounce Houses, sure to leave the whole family laughing! Missing the slopes this year? Get up on our snowboard simulator and test your skills! Do you have a favorite animal? Show the world with a face painting by our talented artists! (Known as the Baja Blues Restaurant during the OC Fair) is another exciting Winter Fest destination. The family-friendly eatery will capture a ski-lodge vibe with holiday themed cuisine and drinks, mountain decor, TV’s to catch your favorite bowl game. Comfortable seating is available both inside the restaurant and outside on the deck. Satisfy your sweet tooth with all the delicious treats that Winter Fest has to offer. One bite and you’ll never want to leave. 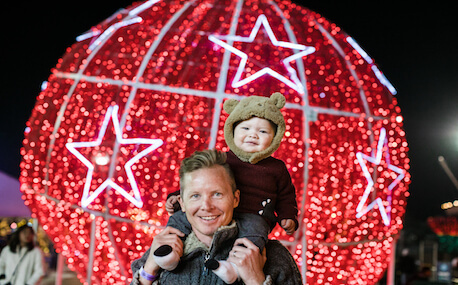 Celebrate the Christmas season at Winter Fest with all the family. This suggested day out will help to make the most of your time and ensure you get to explore some of our amazing attractions. Explore the Outdoor Ice Rink and enjoy cocktails in Mistletoe Lounge before enjoying the VIP Rink-Side cabana rentals that are perfect for making your visit extra special and also great for parties. This year, bring that special someone to Winter Fest. 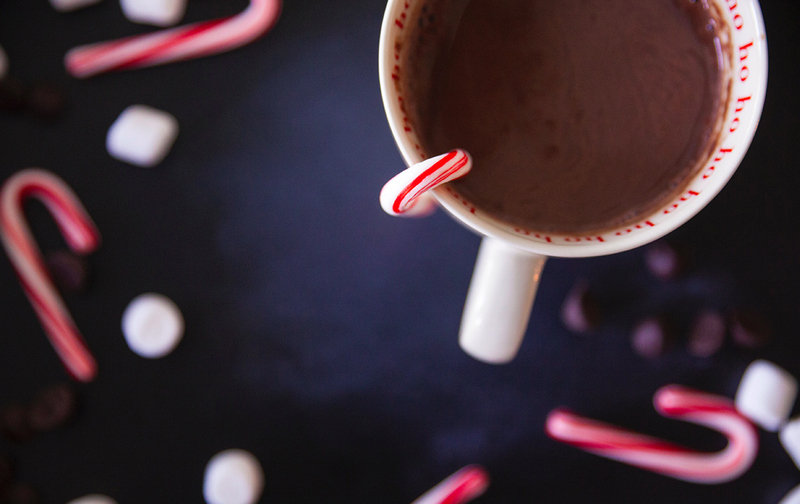 Glide around the ice rink, enjoy beautiful views from the Giant Wheel and warm up with coffee drinks including blended favorites and the popular Winter Fest hot chocolate. 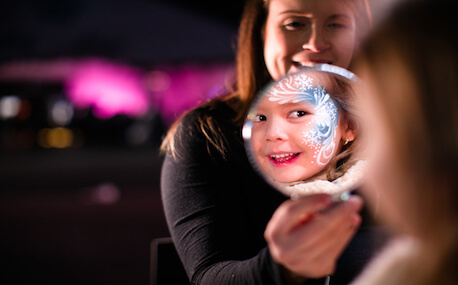 Ideal for the little ones, a half day at Winter Fest will be sure to ignite their imagination with all things Christmassy. 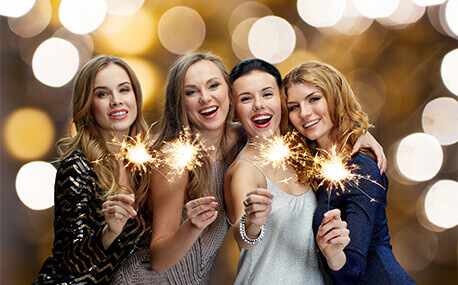 Gather your girls at Winter Fest for a festive night out. 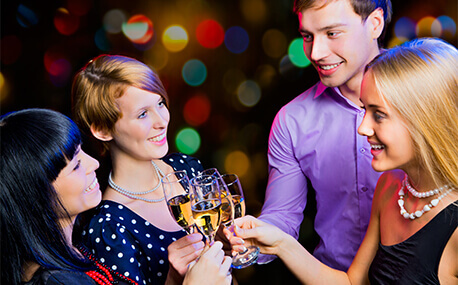 Sip on some delicious cocktails at Mistletoe Lounge and enjoy Live Entertainment. Come down after work for a bite to eat and some festive drinks. See Winter Fest from above on the Giant Wheel and enjoy some live music in one of our themed bars. 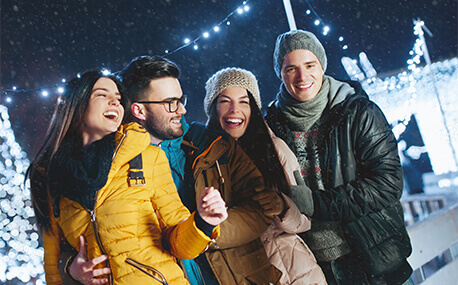 Winter Fest provides the ideal location for a fun and exciting day out, that everyone will enjoy.